Thousands of foreigners travel to Thailand every year to visit for short-term or long-term periods. Finding a quality apartment or room to rent in a nice area can be challenging, but dealing with the prices, agreements, and associated terms are another matter entirely. The tenant laws in Thailand are known to rather heavily favor landlords in cases of legal dispute, so it is quite important that you live in a building owned and managed by reputable people who charge fair prices regardless of your nationality. Identification (I.D.) – Legally speaking, all hotel and rental property managers in Thailand are supposed to ask you for a copy of your ID before renting you a room, even for a single night. Additionally, anytime a foreigner brings back a Thai citizen to their room for any reason, property management is supposed to ask the Thai visitor for a copy of their ID also. This is a national law in Thailand, meant to protect and regulate the safety of both tourists and citizens. At larger buildings, the local police will often stop in daily to check staff records to make sure that ID is being recorded for all guests and residents, so that the national police can keep their records updated. While most busy and/or upscale hotels will follow this strictly (some even charge a fee for any visitors you bring home), many lower level apartments will not. While some residents appreciate this extra bit of privacy, foreigners and Thais alike should keep in mind that properties that do not keep track of tenant identification may be less concerned with security, and should exercise caution. Written Contracts – A vast number of landlords and apartment managers will not provide a written contract to their residents. Whether to hide from taxes, or out of pure laziness, the truth is that rental contracts are often not implemented in many areas of Thailand. As in many developing countries, verbal agreements and good faith are heavily relied upon in Thailand. Foreign residents should therefore do their best to choose a rental property that appears well maintained, and whose management is polite and up front about important information. Choosing Your Room – There are various elements that affect how most Thai people choose their room. For starters, Thai culture has great respect for the human head, literally, and thus most Thai people are rather superstitious about living underneath other people. 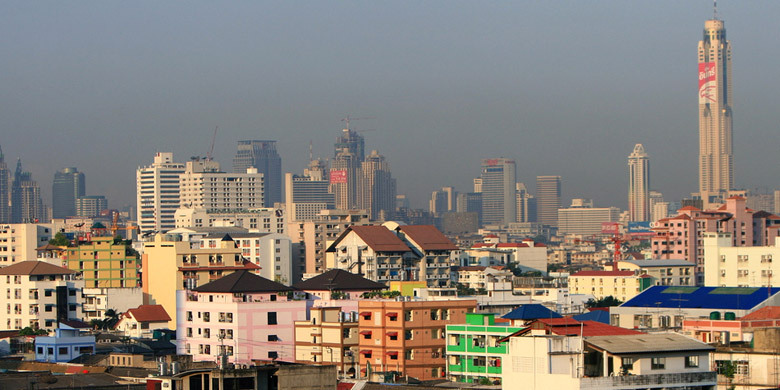 Therefore the top floors will often fill up more often than lower floors in Thailand. Additionally, Chinese influence on Thai culture means the belief in “feng shui” is very important to some Thais. However, while things like windows, balconies, and nice views are all enjoyed in Thailand, most Thai citizens will choose to disregard these things if it means saving a bit of money, however small a difference it might seem in price. As a foreigner, it’s usually better to choose a room that is not on the ground floor as it will be less likely to get broken into, and moreover, it will be much quieter at night as residents come home from the array of shift work that exists in Thailand. Many landlords will push you towards larger or more expensive rooms whenever possible, so keep this in mind when negotiating prices. Electricity – By far, electric bills vary the most in cost and predictability across Thailand. If you are renting an apartment or house, make sure that you have a written contract between you (the tenant) and the owner/manager of the property that clearly states the cost per unit of electricity and water. While some rental opportunities may at first appear to be a good deal, you may be shocked at the end of the month when your landlord dishes out an invoice for an outrageously high electric bill. Unfortunately, with rising tourism in Thailand, many landlords have figured out they can double their profits each month by secretly charging tenants for electricity at very high costs per unit. Almost everywhere in Thailand, the cost per unit for electricity should never exceed 6-7 baht. Anytime a landlord claims their electricity bill is upwards of 10-15 baht per unit, you should probably ditch them and not come back. Water – There are a few places in Thailand, believe it or not, that do suffer from water shortages due to fast growth and poor infrastructure. These include Koh Samui island, among other islands. It may sound surprising in a tropical country, but water supply is only as good as the local government’s ability to properly store and distribute it. In any case, even in places like these, the monthly cost of water stays generally the same as other regions. All in all the cost of water should not exceed around 150 baht per month for each individual living at a residence. For couples or families, the cost may be higher. While tap water is generally cleaner in Thailand than in other modernizing countries, it is still not a good idea to drink it. At certain times, landlords or the local government might also recommend you to temporarily use bottled water even for brushing your teeth, due to construction work or other reasons causing the water quality to be especially dirty or tainted with impurities. Hot water in sinks is not common, however showers usually do support hot water by way of European or Japanese made rapid-heating devices that attach directly into the water line above the shower faucet. To avoid water going cold, reduce water pressure and you should be good to go! From luxury resorts to serviced apartments, find your ideal place to settle down in Thailand. Thailand is a true foodie's paradise! Experience the delicious flavors that exist nowhere else. carefully selected in popular destinations around Thailand.